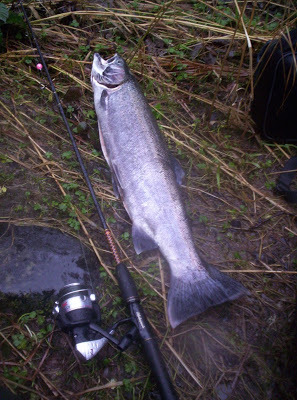 When winter steelhead run, the main thing is to keep your lure in the strike zone as long as possible, as many times as possible so that sooner or later, you will hook a chrome fish. The past two seasons, I learned to bead fish with good results. It has been common for me to find fish while nearby anglers go fish-less. 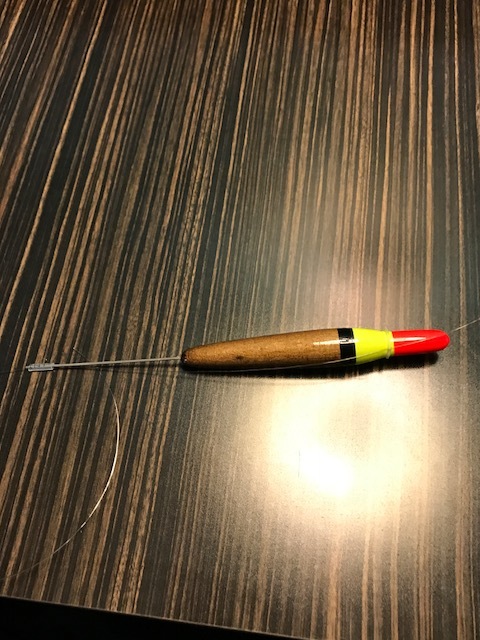 The difference is “The Slide Technique” by which I mean using a THILL TURBO MASTER bobber to quickly adjust length between it and weight at each new run, pool, and tailout, without line friction, as I move my lure in the current just above the river bottom. Before I make my first cast in a new spot, I check the distance between the bobber and weight so I can get a repeat performance with a second fish. THILL claims “A thin wire stem adds stability, allowing the angler to slow the speed of the balsa float body and to present bait properly.” I haven’t raced it against other bobbers to know for sure, but I’ve had consistent success, and the excitement of watching this bobber go under reminds me of the thrill of catching monster bluegills when I was a kid. I toss the tubing that comes with the THILL TURBO MASTER (see photo) package because the upper yellow one can be hard to slide on with icy fingers, and lower blue one tears with frequent use. 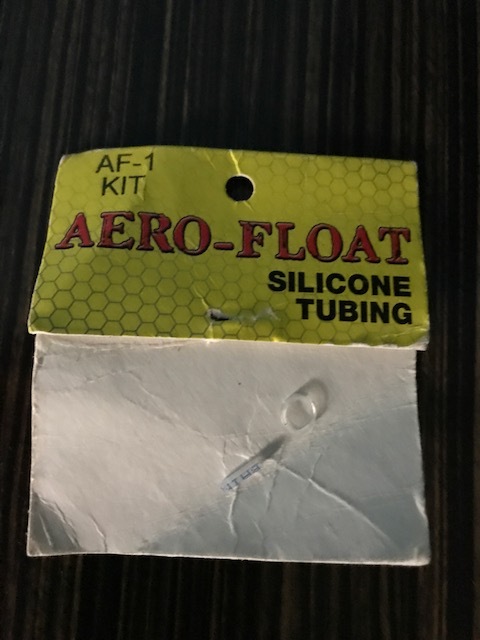 Instead, I use AERO-FLOAT Silicone Tubing which is much more durable. Traditional bobber stops also work but sometimes weaken leaders if the knot is a little too tight, and with frequent movement. A fish quickly on, then broken off, is your clue it’s time to try the aforementioned AERO-FLOAT Silicone Tubing. I use two or three Water Gremlin NEW REMOVABLE™ Split Shot of various sizes based on water height, always careful not to pinch them too tight to weaken line. One way to avoid weakening the line is to gently close them with fingers instead of using needle nose pliers which can tighten too fast thereby pinching and significantly weakening your line, maybe turning 12 pound test to 1 or 2 pound test. I generally use about 26 inches of 12 pound Seaguar® Steelhead/Trout Fluorocarbon STS Leader between the weight and bead. However, when the water is high, I may go to 15 pound test, and when the water is very low, I use the smaller THILL TURBO MASTER and 8 pound test, five foot leader with a single shot. I run my bead about 2 inches above the hook which will vary in size depending on the size of bead. For hooks, I like Owner Super Needle Point so I can straighten the point when bent, and file it sharp to be ready again. While fishing, the tip of the THILL is an indicator of what’s happening below. Experienced anglers may claim they can tell the age, weight, length, time at sea, and hatchery of origin of the fish from the various bobber movements, but I’m not that good yet. What I know are these things: 1) A slight lean means you are dragging bottom so shorten the distance between bobber and weight, or you may snag; 2) Bobber dance means your weight is hitting rocks so, again, shorten until you get a calm drift with no dance; 3) A pull down or in an odd direction is a fish so set the hook; 4) a pausing bobber means a fish or branch so set the hook; and 5) The best takes happen when the bobber snaps under water fast leaving no doubt it’s a fish, and making you forget about everything but a 10,000-year-old ritual of landing a fish. His last fishing book, Lost Salmon (MoonPath, 2016), was a collection of poems focusing on the clash between ancient sustaining forces like wild salmon rivers with modern industrial lives. That book was endorsed by Pacific Northwest anglers Frank Amato, Marty Sherman, and Henry Hughes. Scott’s fishing articles and poems have appeared in many previous issues of Northwest Fishing Reports, and in Yale Anglers´ Journal, Salmon Trout Steelheader, The Sunday Oregonian, Talking River at Lewis-Clark State College, and The Raven Chronicles in Seattle.